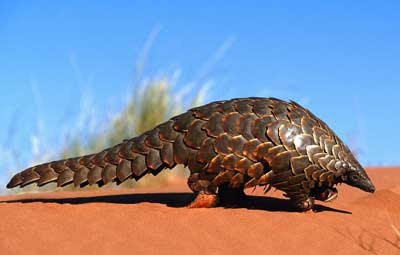 Have you ever heard of a pangolin before? Yeah, me neither. But they apparently do exist...for now. A foul stench led Chinese police to a home where they found 16 protected pangolins in cages and plastic bags, and another 37 dead ones in the refrigerator, the Xinhua news agency said on Saturday. Hey, gotta be eclectic (rojak). Hehehe.